Texas 4-H is a club for kids in 3rd – 12th grade, with programs for K-2. From food science and robotics to fashion design and photography, there’s a 4-H activity for everyone. Find a club near you to start making friends, learn new skills, and be a better you! 4-H has a rich history in Texas. Since 1908, youth have been gaining valuable life-skills through hands-on activities taught and supported by caring adult volunteers and Extension Agents. 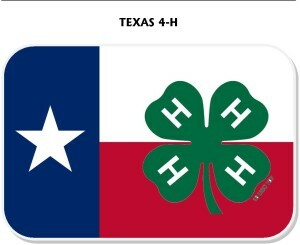 Check out the history of 4-H in Texas.